Propostas de Workshops podem ser submetidas até 30 de Junho. Detalhes aqui. At the 16th IACC in Malaysia we collectively declared that there should be zero tolerance of impunity for corruption. Now at the upcoming 17th IACC in Panama this December, Time for Justice: Equity, Security, Trust is a call to turn that pledge of zero tolerance into concrete action and to support all those who take a stand against corruption. Over 4 days of open and frank debate, the IACC’s goal is to support, empower and engage people from all sectors and countries to stand up against corruption. 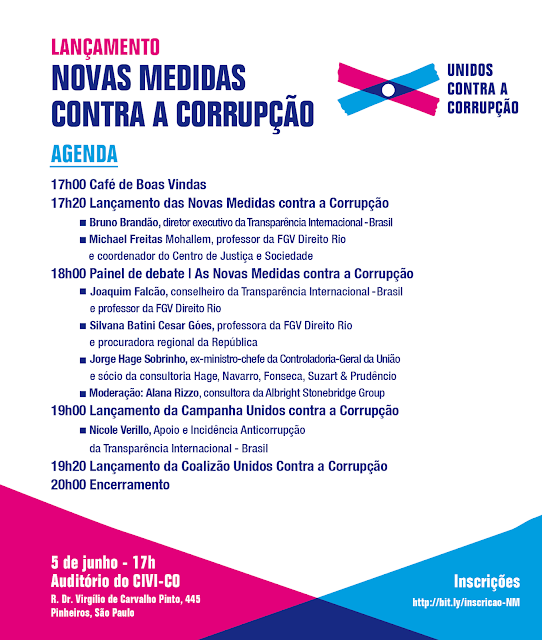 Help shape the world’s largest anti-corruption forum by designing and running one of its many diverse and innovative workshops. Anyone interested in the fight against corruption can apply. The call will open on the 11th May and run until 30th June.